﻿ The Grumpy Drivers’ Club | WHAT WERE THEY THINKING? The thing lurched up onto two wheels before braking to a halt in front of John Humphrys. Anniversaries tend to creep up on you like cobwebs in the corners of pre spring-clean rooms. Suddenly, it is 30 years since the launch of the Sinclair C5, that pioneering but impractical little one-seater electric car that was Sir Clive Sinclair’s vision of city transport for the late 20th century. As one of those at the launch of the C5 at Alexander Palace on a cold morning in early 1985, I vividly remember the crazy little car’s debut. Car? It was more of a recumbent trike, with handlebars bizarrely located under your bent knees. How the assembled reporters chortled when a carefully choreographed ballet of C5s swanned into view and pirouetted around Ally Pally’s grand interior. Yes, this was an indoor introduction. 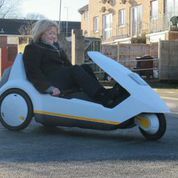 Perish the idea that a roofless plastic-bodied electric three-wheeler, under the cynical scrutiny of the world’s press, could risk the vagaries of early spring British weather. 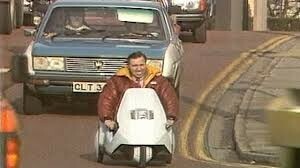 Never mind the fact that out in the weather, on the road, was where these wacky creations were meant to be driven. The launch price of £399 did not include an optional weather-proofing kit. Not a roof, mind you, but a kind of clip-on raincoat that frankly would have made you look even more of a plonker than was already inevitable if you tried driving a 2 ft 7 ins tall triangular plastic beanpod in normal traffic. Where – as I discovered in a later test drive on London’s Embankment – you felt like a mouse straying into a cattery. Not long for this world. A brave C5 pilot takes to the road. He’s being followed by a Lancia Beta. Would it get him before the rust got it? On launch day, the test drive was limited to a quick nip around the grounds of Ally Pally. This was back in my Top Gear days, long before any spats about hot dinners, and I was tasked to perform for the cameras. So I was filmed on a short top speed trip downhill at the C5’s flat-out 15 mph, and turning into a little roundabout, where the thing lurched up onto two wheels before braking to a halt in front of interviewer John Humphrys. Yes, the doyen of the Today programme, then a star of BBC Wales. “Well Sue, I don’t really have to ask you what that was like, because we could all see!” quipped John. 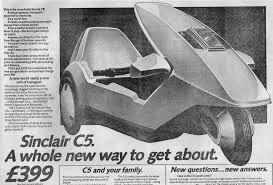 It was, frankly, hard to take the C5 seriously. 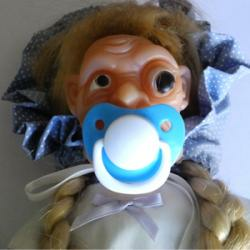 It didn’t help that it was being produced in an old washing machine in Merthyr Tidfil. Or that production plans were mooted at 100,000 a year. Really? To whom? Ah well, it didn’t quite work out like that. Three months on from launch day, production was adjusted. To just 10,000. By the autumn of 1985, just seven months on from launch, it was all over. Sinclair Vehicles went bust. Only 14,000 had been produced. One of them is now in Maidstone, owned by Alex Goodwill, who was just a schoolboy when the C5 was born. I found him via Twitter, as you do, even though I hail from a time when birds in the trees were the only ones who did. Seeing a C5 again for the first time in a very long while, I reckon the passage of years has been kinder to it than most of us. It still looks quite elegant and almost modern, a time traveller from the 1980s that was ahead of its time. It still feels sparse, chilly and crushingly vulnerable to drive, though. But even now, it remains a remarkable eye magnet. As I pulled to a halt after a memory-lane drive, a very old lady trudging along the pavement with a load of shopping paused to look at it. “I don’t know what it is,” she said, “but I want one!” It seems rather sad that not enough people did, back then. 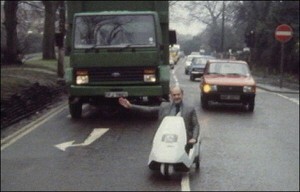 Who are you calling a Sinclair C5 anorak? 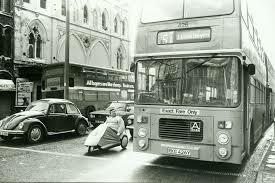 Sue Baker started writing about cars in the early 1970s, becoming the London Evening News's motoring correspondent when she was 24. Sue spent 13 years as The Observer's motoring editor and 11 years as a Top Gear presenter.